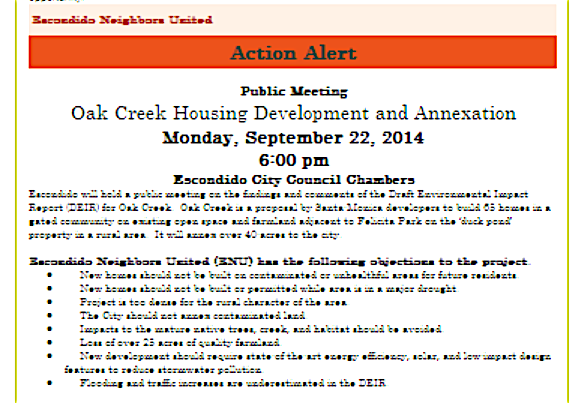 Proposed Oak Creek Development area just north of Felicita Park and west of Interstate 15. Environmentally challenged and beset by a bizarre bidding process, the Southwest Sewer Realignment project along Felicita Road “will begin soon,” Escondido officials said this week. This project consists of replacing three lift stations with a singular gravity pipeline that will convey flow to Lift Station No. 1. Work includes the installation of 8-inch and 12-inch sewer pipelines and several manholes over the 3.4-mile work area. The project extends from Sewer Lift Station No. 6 south of Felicita Road to Via Rancho Parkway, then continuing southeast to Sewer Lift Station No. 1. Roads will be closed along these routes to ensure public and construction crew safety, according to Manns. Residents in those areas should anticipate construction noise during the work hours, 7 a.m. to 4 p.m. Monday through Friday. Work hours may be extended for the underground contractor and also may include some Saturday work. However, the contractor will make every effort to accommodate residents by keeping their driveways accessible and minimizing construction & environmental impact. The Southwest Sewer Replacement project saga is not as — shall we say — dry as it might appear on the surface. 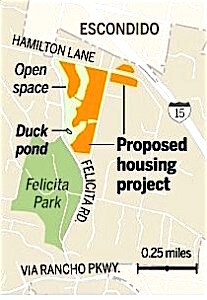 The project has been central to disputes over development of the area near Felicita Park since the 1980s. Many neighbors opposed Oak Creek on environmental grounds. Neighbors contended the area was a carcinogenic nightmare with levels of a toxic substance, trichloroethene, three times higher than considered safe by state environmental officials. Trenching 14 feet underground would result in striking that cancerous water swell, critics said. The toxic waste dates to the 1980s when Chatham Brothers Barrel Yard was operating. Environmental officials closed down the operation due to storage drums leaking trichloroethene into the ground. The 40 companies who used the facility for barrels were required to clean up 10,000 tons of debris. Companies included Goodyear Tire and Rubber, Solar Turbines and several helicopter and airplane manufacturing businesses. In fairness, last year state Department of Toxic Substances control officials said pollution levels in the creek there were so low as to be irrelevant for people. The project has passed environmental review. The project also has to be re-bid when wildly varying bids came in to the city. Bids were wildly divergent, ranging from $6.4 million to nearly $17 million. Escondido officials listed the original high bid estimate at $6.1 million. The project went out to re-bid in January. Officials priced the project this time at $8.6 million. They didn’t disclose who won the bid or what the cost would be for the project. 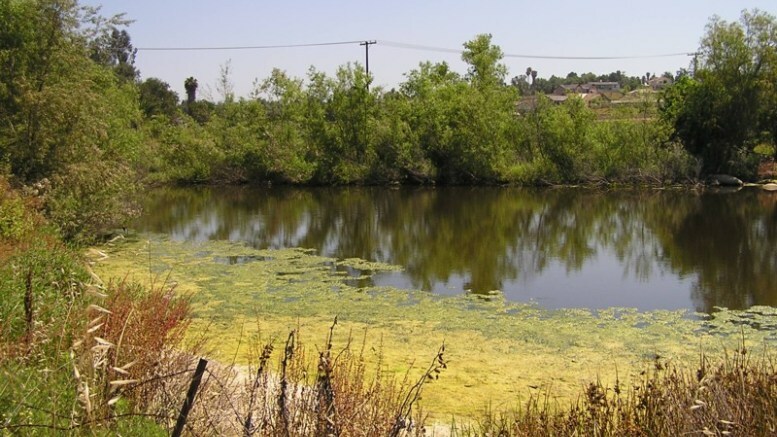 Oak Creek Development just north of Felicita Park and west of Interstate 15 also sits smack dab over the toxic plume along with a small duck pond. New Urban West, a Santa Monica-based developer is building “upscale” homes on the parcel. Homes start in the $700,000 to $800,000 range. The sewer expansion paves the way for these homes to operate off the city sewer connection in lieu of septic systems. Oak Creek was a popular project with city leaders due to the boost in city property taxes. Escondido has the lowest property tax revenue of any North County city. The company has developed a section of Harmony Grove homes over former egg farms along with Brookside in north Escondido and Rancho as Vistamonte in the San Pasqual Valley near the Wild Animal Park. Be the first to comment on "Controversial Southwest Sewer Realignment project to flow soon"